Marbled murrelets depend on both marine and forest environments. In the winter, the murrelets are grey, with white rings around their eyes. In the spring, they turn dark brown with mottled white bellies and throats, which helps camouflage them during nesting season in the forest. These seabirds are small, about the size of a robin, and spend much of their time swimming on the sea surface, flying to their nest sites, and taking turns sitting on their nest eggs. Marbled murrelets spend most of their time near the shore, where they feed on small fish and invertebrates. For nesting, they depend on broad, mossy branches found in mature forests within 50 miles of saltwater. Populations of marbled murrelets range from the Aleutian Archipelago in Alaska to the central coast of California. However, only the populations in Washington, Oregon and California are listed as threatened. 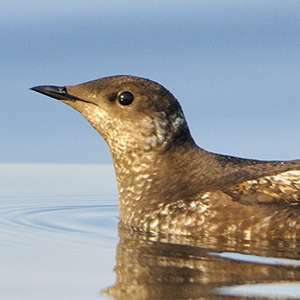 In the marine environment, marbled murrelets are threatened by overfishing, being caught in fishing nets, polluted runoff and oil spills. In the forest, murrelets are threatened by the significant loss of coastal mature forest habitat, excessive noise, poorly sited wind energy projects and habitat fragmentation. 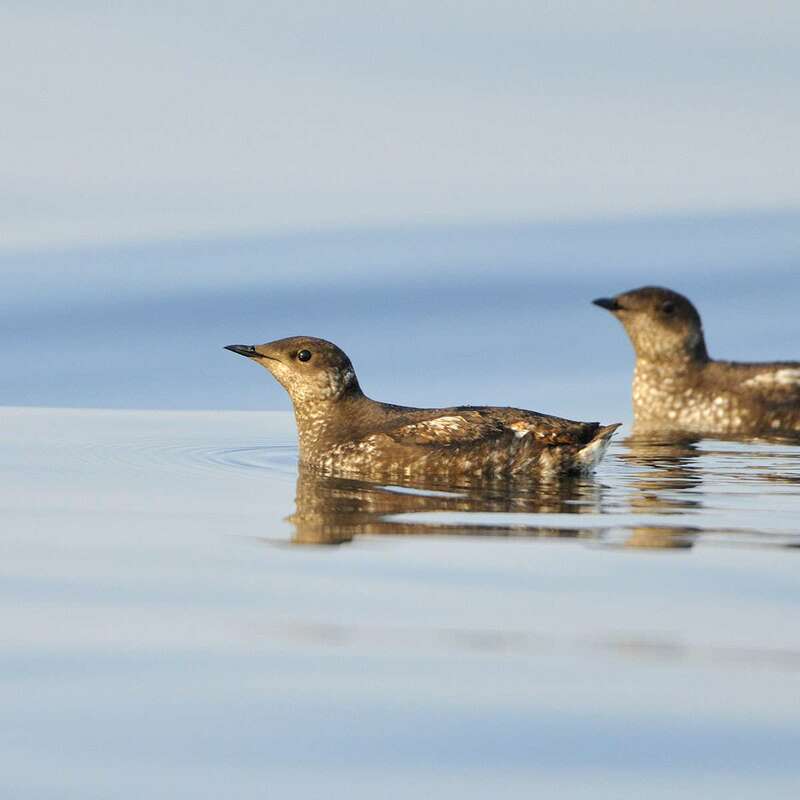 Scientists located marbled murrelet nests for the first time in 1974. Since then, they have worked to gain a better understanding of the species, its populations, and the threats it is facing. While much progress has been made, scientists at the state and federal level are continuing their efforts to better understand the threats facing the bird and the actions needed to help it recover.